It’s there to remind our lads who they’re playing for and to remind the opposition who they’re playing against. With Liverpool FC at the top of the league for the first time in a while, it does have to be said, German manager, Jorgen Klopp, is clearly doing something (exceedingly) right. There again, when I lived in Berlin, he did win the Bundesliga back to back with Borussia Dortmund in 2011 and 2012. So all told, he’s a more than qualified, and lest it be said, rather feisty manager to lead one of the finest teams in the land to some sort of silverware. It’s just a shame his star wasn’t/hasn’t fundamentally been brought to bear in This Is Anfield – The Official Illustrated History of Liverpool FC’s Legendary Stadium. A fine and altogether lavish, coffee table book, which charts the development of Liverpool’s football ground from its initial establishment in 1884 (as the home of Merseyside rivals, Everton Football Club) right through to it being something of a Red fortress. A place where the teams of Shankly, Paisley and Dalglish developed Liverpool FC into one of the finest of premier clubs in world football. Replete with more than 150 historic, rare photographs, This Is Anfield explores the football ground’s rich and eventful history, as well as a range of iconic themes forever linked to the stadium. Among them: the famous Boot Room, the Shankly Gates, the legendary Kop – not to mention of course, many a fabled, European night. Its ten chapters – along with a section aptly entitled, ‘A Timeline of Anfield’s Significant Changes, Moments and Games ‘ – more than qualifies this robust book as being the real deal. When the Kop start singing ‘You’ll Never Walk Alone’ my eyes start to water. There have been times when I’ve actually been crying while I’ve been playing. There’s not one club in Europe with an anthem like ‘You’ll never Walk Alone.’ There’s not one club in the world so united with the fans. Gerry [Marsden] told me that they used to play the top 10 records before kick-off at Anfield but when YNWA fell out of the chart, lots of people complained. So it carried on being played and just snowballed from there. ”If you eat caviar every day, it’s difficult to return to sausages” quips Arsenal manager, Arsene Wenger, in the third chapter of this rather refreshing, explanatory and all-round fascinating book, Arsene Wenger – The Inside Story Of Arsenal Under Wenger. Replete with numerous other pearls of wry wisdom, it makes for an idiosyncratically ‘inside’ read, that most self-respecting football fans have invariably come to expect from a top-flight, Premiership football manager. To be sure, this is a book which encompasses an array of statistics, footballers, journalists and Wenger anecdotes, in an equally entertaining, and in the case of the protagonist himself, enlightening manner: ”Wenger watches Match of the Day but is rather dismissive when it comes to the points made by pundits. He is equally disparaging when it comes to radio phone-ins and football chat shows, and says he’s never looked at Twitter […]. ”The only thing I can say on social networks is anybody can insult anybody even if it’s not true, and that is maybe a weak point of the modern social networks. You can tomorrow be insulted by anybody without any defence […]. We have to live with that and maybe reinforce our solidarity and be stronger inside the clubs. And maybe this is a time as a manager to have stronger beliefs than ever, because you are questioned more than ever, and maybe that’s the new challenge we face”” (from the eleventh chapter, ‘Press Relations’). Like so much of Wenger’s unique approach, the above is an honest as well as interesting take on social networks, many managers of whom – Louis Van Gaal springs to mind – would probably prefer didn’t exist; especially when one considers how downright crass and horribly unforgiving a great number of (English) football fans can be. There again, with more than a thousand games in charge, the Frenchman has managed Arsenal since 1996. So he’s obviously doing something exceedingly right – which these eighteen chapters (excluding Introduction and Index) wholeheartedly investigate and purposefully reflect upon. By shedding a prism of varying light that induces the reader into reading ever more, Arsene Wenger is indeed, a most thoughtful assessment of both his achievement(s) and legacy at the club. Although for me, it’s the book’s managerial analysis that I found the most absorbing. Once again returning to the third chapter, author John Cross, interestingly writes: The magic formula of management must be the elusive balance of being able to entertain and win at the same time. Some managers, like Jose Mourinho, will set up a team to win at all costs and then add in the flair later. Managers like Wenger begin their philosophy with entertainment and then figure out how to win later. They build from a base of scoring goals, creating chances and skill. He is one of the few managers who put winning and style on the same level. With such an intrinsically pristine persuasion, is it any wonder Arsene Wenger remains the longest serving manager in the Premier League? This irrefutably well written book by The Daily Mirror’s Chief Football Writer more than explains why. If you’re an Arsenal fan (in particular), you won’t be disappointed. Upon reading the 274 pages of Das Reboot, it’s easy to understand why Raphael Honigstein is the UK’s top expert on German football. Apart from being a regular columnist for The Guardian and ESPN, he’s also a writer with the Suddeutsche Zeitung. As such, he most certainly knows his stuff. So much so, I’m inclined to admit that these nineteen chapters will undoubtedly appeal a whole lot more to the initiated, than those for whom the countless trials and tribulations of The Bundesliga are not quite so apparent. 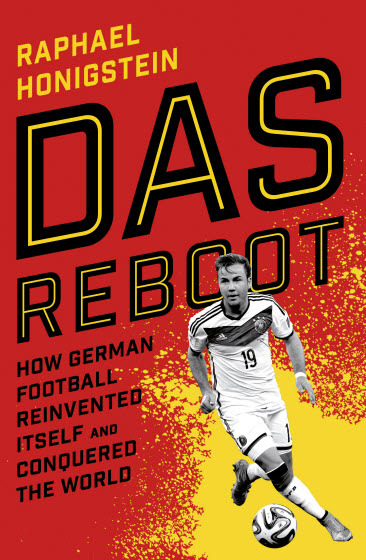 Das Reboot is an easy, as well as very enlightening, albeit idiosyncratic read. It’ll no doubt make for a very worthy companion to the aforementioned book about English football, whilst simultaneously retaining a haughty substance and quality of its own. There really is no denying that; and perhaps Raphael Honigstin realises this more than most (of which this book is published proof). I always had the feeling there was a lot more to the outspoken Dutch football manager, Louis van Gaal, than a mere menagerie of scowl tinged, dirty looks aligned with riotous quips and incendiary put-downs. The latter of which is particularly pertinent whenever the Amsterdammer is confronted by certain members of a staid and equally incendiary media – especially within that of The Netherlands. Wry, witty and to the point, this overtly enjoyable/readable biography, tackles many, if not most of the idiosyncratic (although some would argue, dictatorial) behaviour patterns, that have long been associated with what many consider to be one of the greatest European managers of all time. His current tenure at the helm of Manchester United may well prove this to be the case; although his managerial tactics – some of which have been ”developed by the Israeli army to track the movement of tanks on the battlefield” – at Ajax, AZ Alkmaar, Barcelona and of course, Bayern Munich, may have already placed him alongside the ranks of Shankly, Ferguson and Mourinho et al. 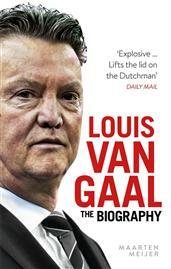 As mentioned at the outset, one wouldn’t normally akin such considered thinking with the feisty Dutchman, which is why Louis van Gaal – The Biography makes for such compelling reading. Compelling, might I add, for all the right reasons. A raggle-taggle and somewhat discerning traipse through the long chequered history that is Barcelona and Madrid football clubs, this very readable book sheds all shades of sagacious light on what surely has to be, one of the, if not the fiercest of football rivalries anywhere in the world. Sure enough, football rivalry – an unwritten and relentlessly hopeless law unto itself – whether it’s Spurs and Arsenal, Ajax and Feyenoord, or Celtic and their former pet-hate, Rangers (the dystopia of the last, surely having been the most annoying and pathetic of them all, simply due to its fundamental myopic religiosity), has always made for colourful reportage, refereeing and downright thuggery. Yet when it comes to the football rivalry between the capitals of Catalonia and Spain, it needs to be acknowledged that it is fundamentally politically based, rather than deeply entrenched within the tedious quagmire of blatant religiosity or out and out hoolganism. Of course not that simple – these things never are; which is where this book comes in. Fear and Loathing In La Liga – Barcelona Vs Real Madrid, is everything its title suggests and perhaps a whole lot more besides. Which is to say its nineteen chapters are as equally accountable as they analytical in their (at times, perplexing) persuasion. Absolutely no footballing stone between these two clubs has been left unturned – be it political or historical, due or undue. Or otherwise. With a selection of black and white/ colour photographs that date back to the thirties, these 406 pages constitute a very worthy footballing read. 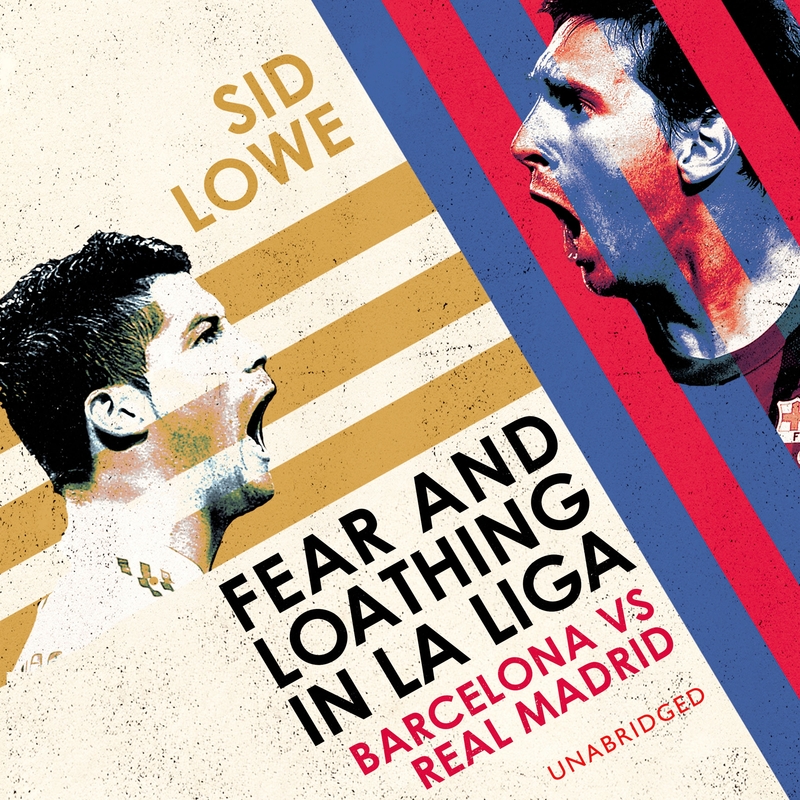 Replete with a varied, comprehensive Bibliography, Fear and Loathing In La Liga sheds more than interesting light on a quintessential rivalry that continues to intrigue and occasionally ignite, as well as inadvertently inform. I’ve always had a mighty keen in interest in Dutch football. Whether or not this is because I’m half Dutch myself, or, more to the point, because those who represent The Netherlands on the football pitch are surely among the finest players to have ever graced the game, remains yet to be clarified. To be sure, Johan Cruyff may well be the finest football player ever, although those who have followed in his footsteps aren’t bad either. Players such as Frank Rijkaard, Marco van Basten, Ruud Gullit, Ruud van Nistlerooy, Marc Overmars, Robin van Persie and Arjen Robin, are names that leap forth nigh immediately when thinking of great Dutch players. Although the name Dennis Bergkamp conjures up a whole lot more. During his eleven years at Arsenal for instance – in which he made over 400 appearances – Bergkamp was often referred to as ‘the Dutch Master.’ And it’s utterly understandable as to why. Although if some explanation and definition were required, then get yourself a copy of this book. 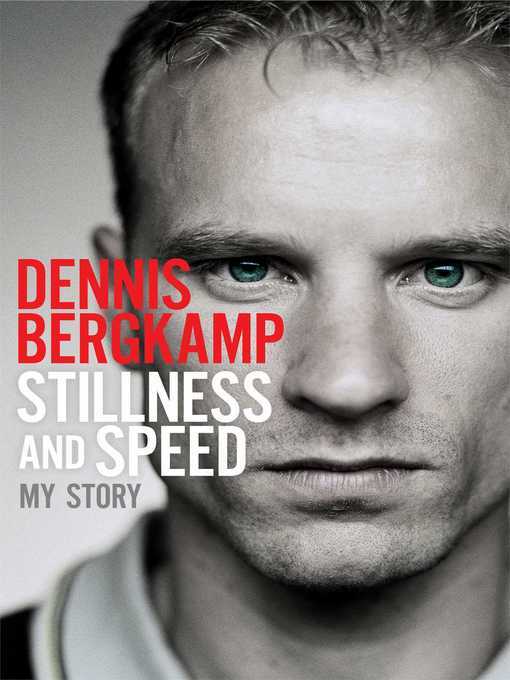 Apart from being very readable, exceedingly well reasearched, and somewhat philosophical in approach, Dennis Bergkamp – Stillness and Speed (My Story) sheds oodles of inspired light, not only on the subject, but on the so-called beautiful game as a whole. Which, if nothing else, separates it from the unwarranted plethora of other (mind numbingly dull and what’s more, badly written) football books. The above, as previously mentioned, is just one instance of what accounts for Stillness and Speed reaching a higher plateau of football writing. Like Bergkamp himself, this book is reflective of the need and the quest for perfection. Along with contributions from an array of his colleagues (the aforementioned Cruyff and Wenger, along with Thierry Henry, Patrick Vieira and Ian Wright among others) there’s a number of insights into Bergkamp’s technique and all round approach to the game. As Ian Wright once said, ”Dennis Bergkamp is the best signing Arsenal have made and ever will make.” And I can’t but help second that emotion. This is quite possibly one of the finest football orientated books you will ever read. 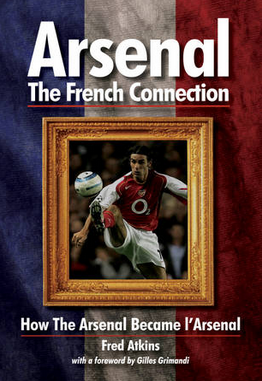 As the title, Arsenal – The French Connection – How The Arsenal Became l’Arsenal suggests, the ultimate theme of this book centre’s on the French influence and its collection of (sometimes sublime) players at the club. Although it does shed much light on the Premiership itself, as well as that of the French league, especially early on. Isn’t this the name of the English game? None of its footballers are exactly renowned for having studied Einstein let alone a foreign language. And aren’t most football pundits, writers and Millwall fans more opinionated than most? Hence the aforementioned description, as no matter how much one delves into the twenty-eight chapters of this very readable book – the final of which is simply entitled ‘Thierry Henry’ – one is relentlessly informed by way an amusing and oft provocative persuasion. Drenched in the irony of the odd spelling mistake and quirk of English, Fred Atkins (himself a journalist who has covered the Tour de France, the Ashes and the Cricket World Cup, as well as a former student at the University of Strasbourg, where Arsène Wenger studied economics), has herein written a book that no doubt every Arsenal and serious football fan would relish reading. Not only does it include in-depth analysis of Wenger and every French player to have played for the club, it also asks how a stereotypically English team with a reputation for being boring and brutal, everntually evolved into a team that was a by-word for French va-va voom. Throughout said chapter, Atkins also asks to what degree Henry, who infamously left the club for Barcelona, was the greatest striker on earth. And if that isn’t enough to wet the curiosity, the book invariably touches on whether or not Nicolas Anelka was a sulking, money-obsessed mercenary or a misunderstood prodigy not really cut out for fame let alone loyalty; Emmanuel Petit’s disposition with regards a life pockmarked by tragedy; as well as the assorted demons inside William Gallases head – plus a whole lot more French induced business besides. In fact, Wenger’s entire policy of ”If I give you a good wine, you will see how it tastes and after you ask where it comes from,” is all here. Every which way – from start to finish. Which in all, makes for a read that is as challenging as it is undeniably answerable to Arsenal’s current position in the Premiership.